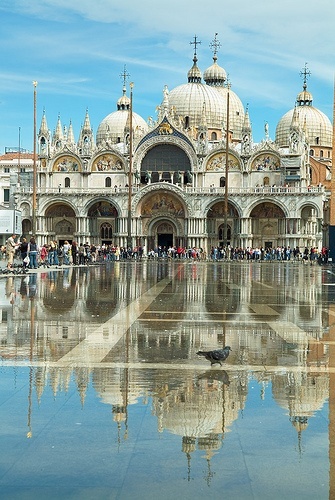 Piazza San Marco (often known in English as St Mark's Square), is the principal public square of Venice, Italy, where it is generally known just as "the Piazza". All other urban spaces in the city (except the Piazzetta and the Piazzale Roma) are called "campi" (fields). The Piazzetta (the 'little Piazza') is an extension of the Piazza towards the lagoon in its south east corner. The two spaces together form the social, religious and political centre of Venice and are commonly considered together. This article relates to both of them.